Launch for Arena Journal no. 35/36 and the book Changing the Climate: Utopia, Dystopia and Catastrophe by Adam Bandt, MP for Melbourne. 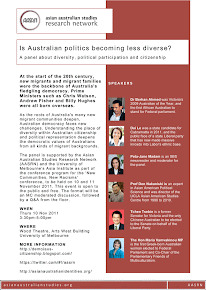 Thursday 27 October 2011 at 6pm at the Arena Project Space, 2 Kerr Street Fitzroy.